Lot Butler Christensen passed away peacefully on Thursday, February 15th, 2018 in his home with family by his side. Lot was born on June 11th, 1928 in Thatcher, Arizona to Sarah Jane Butler and Victor Christensen. He grew up on a ranch in the Gila valley in Arizona as one of 13 children. As a young boy he rode horses, tended cattle, and swam in the Gila river. He graduated from Safford High School and enjoyed the many wonderful years he spent in the Gila Valley. After high school Lot joined the Navy and served from 1946-1948. He played basketball for the Navy and played on the All Navy team and was named to the All Pacific Team. In 1950 he graduated from Eastern Arizona College and attended Ricks College in Idaho on a basketball scholarship. This is where Lot met his sweetheart, Colleen Hatch. Lot was the star of the basketball team and Colleen was the beautiful cheerleader. They fell in love and were married in the Idaho Falls temple on August 8th, 1952. Lot graduated from Ricks in 1952. Later he received his Masters from Utah State. His coaching career began at St. Anthony High School in Idaho, and later included St. David AZ, Washington High in Phoenix, and Mesa Community College where Lot coached until he retired. 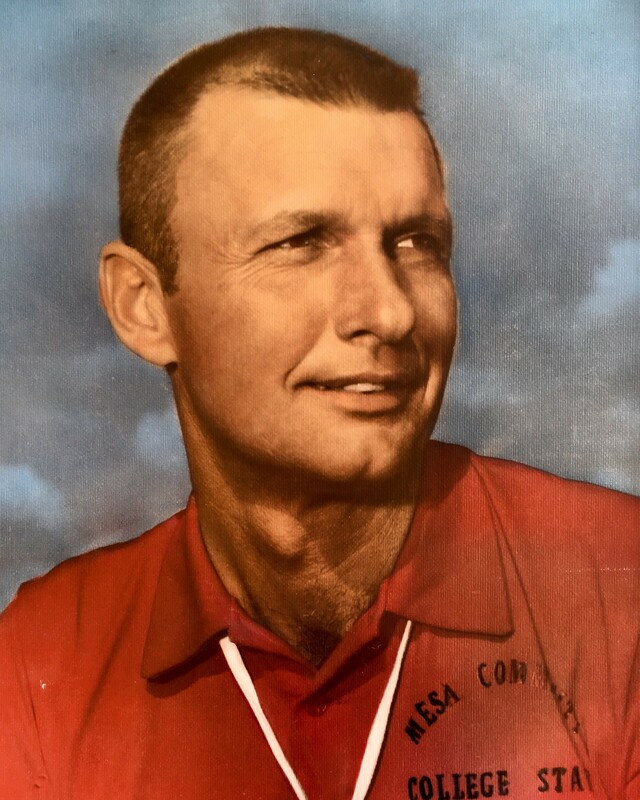 He was referred to as the “Father of MCC tennis” and the greatest men’s tennis coach in Arizona history. Some of his distinguished honors include being named to the All-American team while playing for the Navy, and being inducted into the Hall of Fame at Ricks College, City of Mesa, and Mesa Community College. In 1972 his tennis team won the NJCAA National title and Lot was named NJCAA Coach of the Year. He was named Arizona Coach of the Year 16 times, and the ACCAC champion 18 times. Aside from all of his athletic and coaching accolades, Lot’s greatest awards were his wife and 6 children. He was a devoted member of The Church of Jesus Christ of Latter-day Saints. He served valiantly in many church positions, but none more important to him than his love for his calling as a Home Teacher. He had the ability to always make the ‘one’ feel important. Lot was a Park Ranger and Naturalist for both Yellowstone National Park and Jacob Lake National Forest Service. Lot fulfilled his dream and purchased Jacob Lake on the North Rim of the Grand Canyon and built a successful RV campground on the property. This allowed all of his children and grandchildren to catch a glimpse of what heaven will be like as they spent their summers there. All of Lot’s retirement years were spent supporting his wife, children, and grandchildren. Lot’s testimony of our Savior Jesus Christ sustained him throughout his life and he shared his feelings often with his family and all he met. Lot recognized Heavenly Father’s hands in guiding him though out his life, and was always grateful and gracious. Lot is survived by Pam (Robert L.) White, Kris (Pam) Christensen, Scott (Cindy) Christensen, Colette (Steve) Connolly, Victor (Trinalee) Christensen, Shane (Lisa) Christensen, 27 grandchildren and 44 great-grandchildren. Funeral services will be held at The Church of Jesus Christ of Latter-day Saints at 3344 E. McDowell Road, Mesa, AZ 85213 on Friday, February 23, at 10 am. There will be a viewing before, at 9 am, for friends and family at the same location. His graveside service will be Saturday, February 24, at 4 pm at the Santa Clara Cemetery, Santa Clara, Utah. His passing leaves a hole in our hearts. He was a kind, gracious and gentle soul. Our world was better because he was in it. I was really touched by the loss of your loved one. When a precious loved one falls asleep in death, it brings to mind God’s precious son Jesus. It is comforting to note how he viewed death. I would like to share it with you from the gift that the Most High God has given to each & everyone of us. His written word the Bible in the Book of John chapter 11 verses 11-14.